Oxford SA Blog | Now you can have a lekker skinder in English, too! 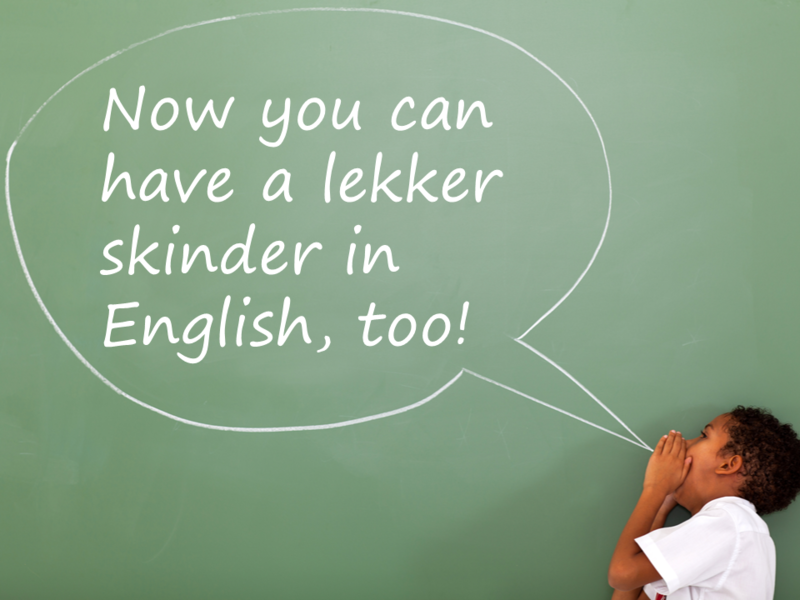 Home Dictionaries Now you can have a lekker skinder in English, too! Both the status and vocabulary of South African English and local perceptions of English in South Africa have changed substantially in the last decade or two. English now ranks with ten other designated official languages for South Africa. It remains the home language of large and influential groups of speakers. Already more than a third of South African speakers of English as a mother tongue are of non-English descent. English, however, is the only world language amongst South African official languages. There is a constant flow of vocabulary into South Africa, reflecting a remarkable range of activities and concepts. Among the most recent are words from the spheres of computing (e.g. RSS, USB, VolP, and WLAN), social networking (e.g. trend, tweet and unfriend), and popular culture (e.g. cosplay and fanzine). Other new South African words reflect this country’s rapid socio-political changes. New acquisitions include a vocabulary of post-apartheid developments (e.g. e-toll, load shedding, service delivery protest, shacklord, and tenderpreneur). But the most enduring South African vocabulary seems to be words that uniquely reflect the way we live (e.g. aikona, gees, imbizo, lekker, muti, papsak, sharp sharp, skinder, zama zama, and zef). South African English also grows and expands in other ways – the language of immigrants from across the African continent is represented in words such as bodaboda, ombike, salaula, and zesa. Our country’s education system has seen rapid changes, and local English now also reflects the terminology used across a wide range of subjects in the school curriculum (e.g. aquaculture, extension activity, ideal gas, orthophoto, and urban heat island). Words such as those listed above have immeasurably enriched the English of South Africans, and there is no doubt that the new words will continue to do so. But the input from world English will also remain vitally important in the South African English of the future. All new South African English words mentioned above appear in the 4th edition of the Oxford South African Pocket Dictionary.